The research found that 84% of private landlords receive less money each year than they expected from rents. The main costs are rent arrears and the time needed to deal with property problems, says property firm Northwoods. Although national average figures for voids cite buy to let properties stand vacant for two or three weeks between lets, landlords lost two to three months of rent a year through voids. Some landlords have property standing empty for up to six months – and during this time they have to fund the mortgage and expenses from their own pockets. The study also disclosed more than half of tenants make late rent payments, and 59% of landlords admit they have to chase tenants for payment. Nine out of 10 private landlords told the survey voiced concerns over tenant rent arrears, while many (82%) explained working as a landlord took up so much time they missed family events or had to scale back their social life. 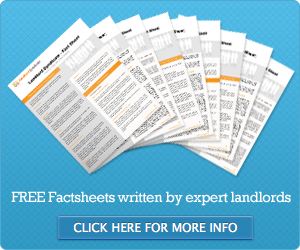 Around 20% of landlords reckoned they are called out to a property up to five times a year. The firm’s managing director Nick Cooper said: “Landlords have recently been under fire with accusations that tenants are victims to greedy landlords, but this research highlights that landlords too face a number of difficulties.